Less than one month ago, bond “experts” were all over the financial news networks predicting the yield curve would invert in 2018. An inverted curve, where short-term rates are higher than long-term rates, is a reliable indicator that the economy will go to negative growth – a recession. At that time the stock market was setting new records higher, even as the fears of a recession grew. Now interest rates are rising, the yield curve is turning more positive, and the “experts” claim it is due to stronger economic growth and rising inflation. This most recent interest rates news has pushed the stock market into a steep decline. So, what is it to be? An economic recession with higher stock prices or a strong economy with lower stock prices? Will the yield curve flatten or steepen? What will they say next week? The point is that an investor who invests based on the latest “expert” opinions is likely to get whipsawed into losing money in the stock market. We are now in a stock market correction. It has been about two years since the last one. In the second half of 2015 through mid-February 2016 the S&P 500 declined in a double-dip correction by 13%. It then took five months for the index to recover from the correction. If you are an investor, and not a trader, and want to grow your portfolio value, you need an investment strategy that accounts for market corrections. Over the last six months, there have been lots of predictions that a correction was coming. Now it is here. 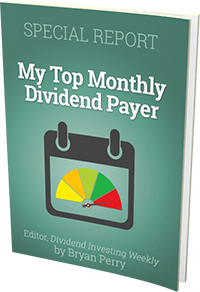 My plan, which I regularly share with my newsletter subscribers, is to focus on owning higher yield dividend stocks with potential for dividend growth. A dividend focused investment strategy provides three advantages when the stock market corrects.